We all desire to have an outdoor place where we can rest after work, a comfortable place for gathering with friends, a place used for relaxation. But, what about the furniture used in outdoor place? The question is: should we spend a lot of money buying expensive sofas and tables, or we can use the advantage of pallet furniture? The answer to this questions is NO. 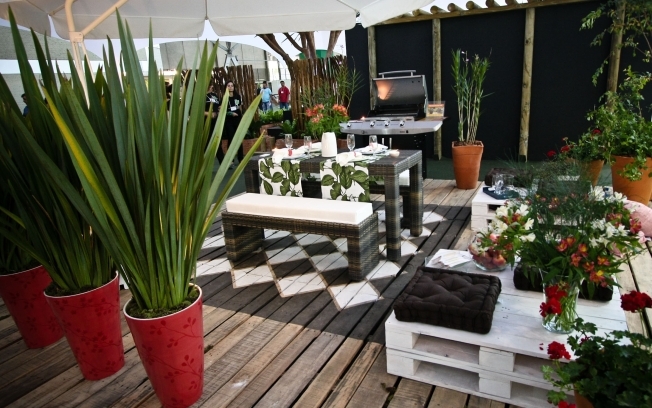 If we spend a little time repurposing the old wood pallet, we can have an appealing outdoor pallet furniture. 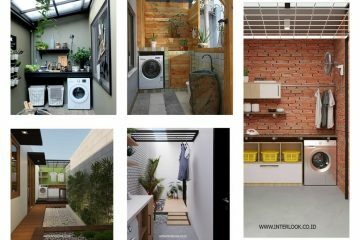 See the following images and find stunning outdoor pallet furniture ideas for your outdoor place! Pallets are a great idea for decoration! Imagine that you can have this stunning sofa in your yard and to do it by yourself! Learn how to make this sofa for your outdoor place. First of all, you have to wash the pallets with vinegar. Next, to stack two pallets on the top on one another and to secure it. You need to fill all the gaps on the top deck and to make a nice corner. For decor, you can use good looking cushions and pillows. Here is one creative way to make to the best table for the outdoor place. This unique idea of reusing the old wood pallets for making a table is the best one, my favorite. Forget about old-fashioned tables and DO IT YOURSELF this one. This simple table was made of two pallets stacked and screwed one on top of the other. Make happy your kids by doing this cute and lovely bench for the outdoor place. 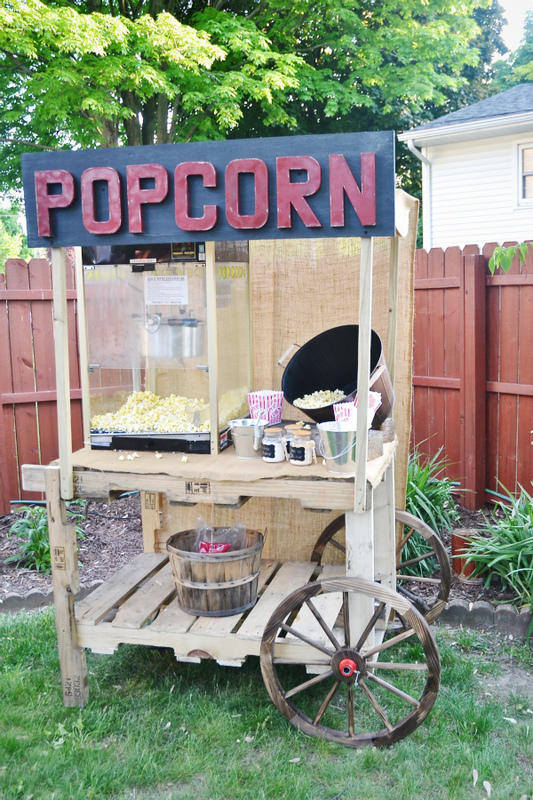 Make it by reusing the old wood pallets. First of all, you need to transform a pallet into a bench seat and back. Next step is to make the legs supports. Attach legs to the bench. Make a roof and sit there with your kids and enjoy the summertime! 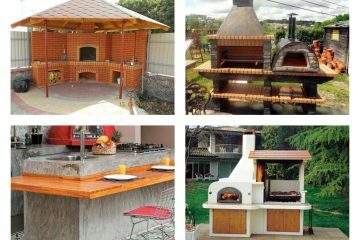 Make wood pallets kitchen bar for your outdoor place. 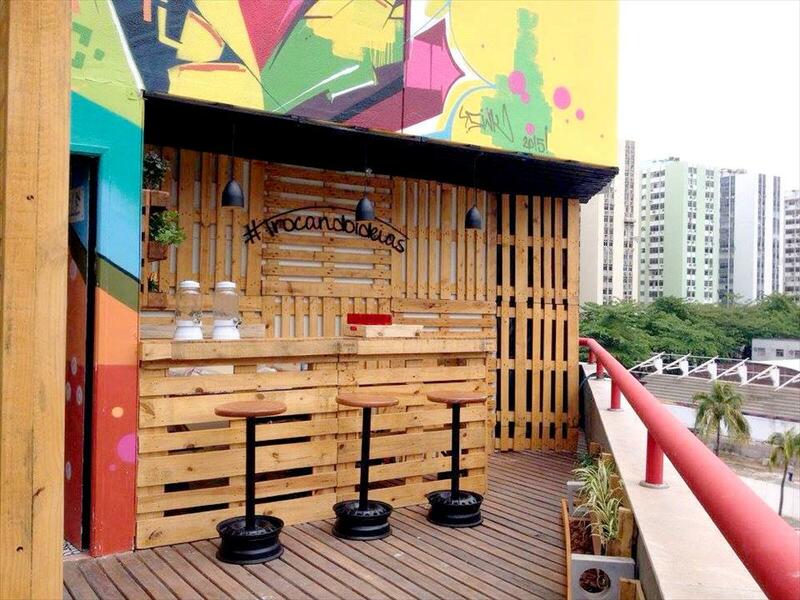 If you have no yard for making this nice idea, do it for your terrace. Spend just a day to build a custom bar and make a tropical look for this summer. Call your friends and have fun! Super easy to make it and use it for birthday parties and celebrations. It’s made by using just two pallets. Most importantly is to cut the pallets, both of them, the pallets will be thinned out, besides that it will make the scale of the build more appropriate. Pick the right pallet that will go on the bottom, remove the top back edge piece of top wood. Measure out the center of each piece that the pipe will be going through. Once the pipe is tapped in, put the wheels on and cut off the excess with a hacksaw. You can find full tutorial and explanations on how it is made on Craftsman Drive Blog. Cut in half two wood pallets, use as your back support. Use an electric sander or some sandpaper to give your pallets a good sand, try to get off as much dirt and wood grime as possible. Once they’re both completely sanded, front and back, wipe them off well to get rid of all dust. 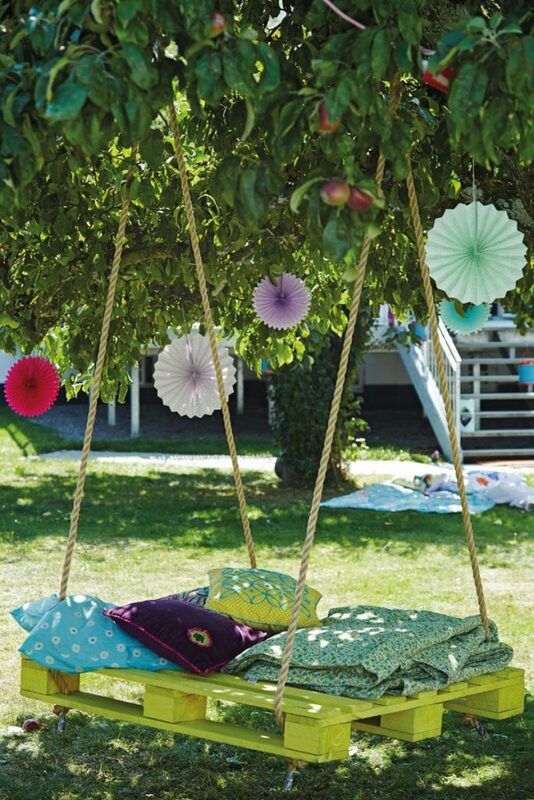 Hang the swing and enjoy in a combination of pallet and swing! 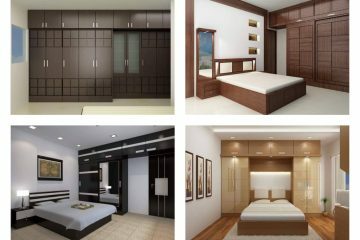 That is it, as a result, you can create a wonderful place to spend your relaxing time! 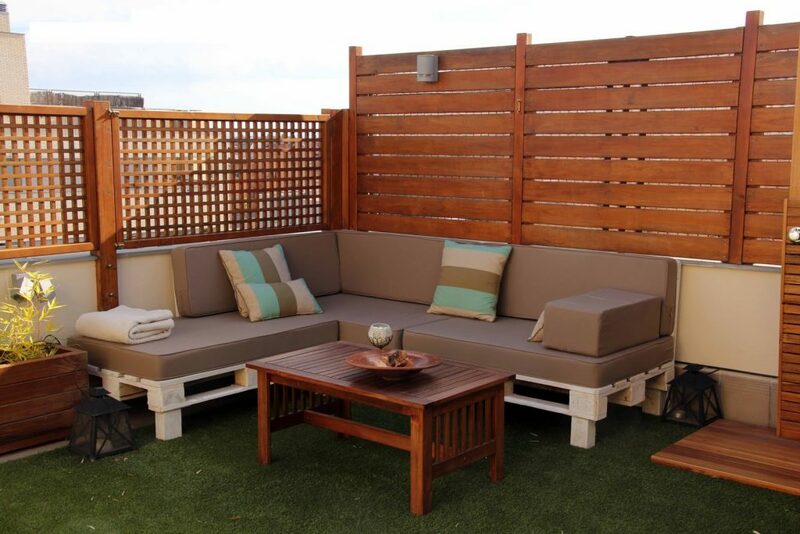 I hope that you found these outdoor pallet furniture ideas useful.